Much the same as last year, and most years, we haven’t been up to much since Januarys report due to the poor weather, only fishing the neap tides to target spur dogs and blonde rays. It’s been a brilliant season for both species already, we have managed to land more spur dogs in the last few trips than we did all of last year. The biggest tipping the scales at 23lb 4oz and the average being around 17lb. It really good to see the stock of spurs getting healthier every year although there aren’t anywhere near as many as there were thirty years ago from what people tell me. 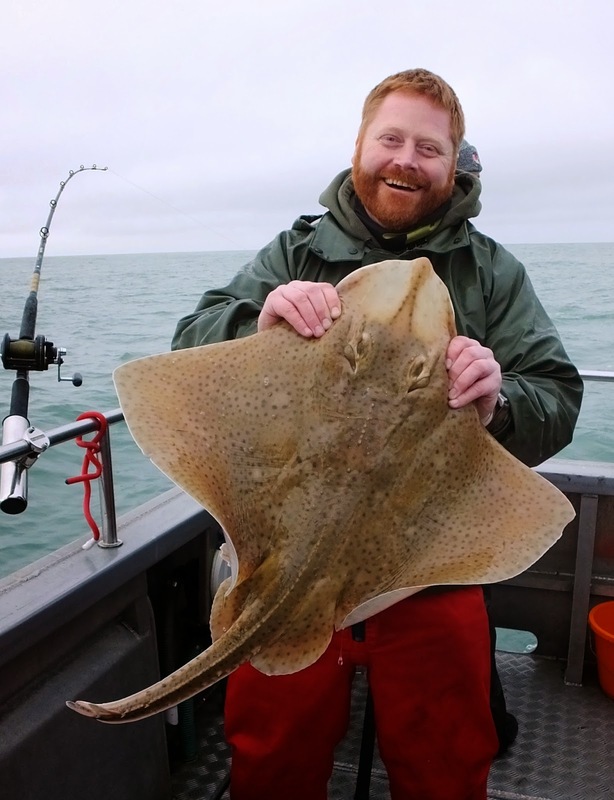 As usual along with the 2 main target species we have been getting plenty of bull huss, congers and other types of rays, on a couple of occasions we have even had so much by catch we end up running out of bait. Looking forward to the end of February when we have our first trips out to the wrecks for the spring pollock.